For more than a decade, China has been accused of one protectionist move after another: subsidizing state-owned firms, blocking imports, manipulating currency. Just yesterday, the U.S. Trade Representative put China, once again, on its “Priority Watch List” for ripping off intellectual property. Here’s the logic: China has become the world’s first “true mega-trader” since Britain in the 1800s, the report says, borrowing mega-trader terminology coined in a report last year by two Peterson Institute for International trade researchers. As the Peterson Institute researchers describe it, a country qualifies as a mega-trader if it is has a big share of global trade and also if its economy depends greatly on trade. By that definition, the U.S. hasn’t really made the cut even though the U.S. and China both had about 12% of global merchandise exports at their height. That’s because the U.S. economy is far less dependent on exports than China’s is. Once a country reaches such an exalted status, Standard Chartered reasons, it recognizes that its interest lies in opening markets overseas and at home. 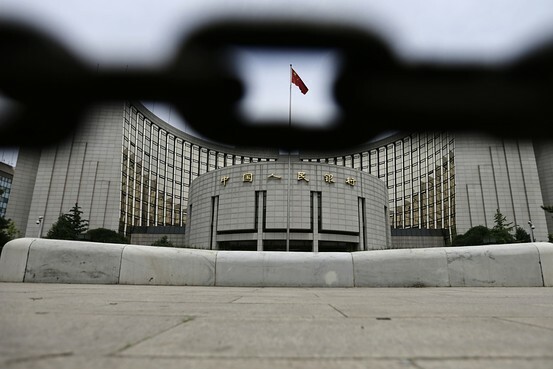 “Our view is that because China is a highly competitive exporter and also needs substantial imports, it will increasingly recognize that it is in its self-interest to encourage global free trade,” said John Calverley, the bank’s head of economic research in an email. He adds that China’s reform agenda “would be well-served by increasing opening, including closer to a free-trader position on issues like services, intellectual property, competition policy” and other areas. via Will ‘Mega-Trader’ China Turn Into a Free Trader? – China Real Time Report – WSJ.